In Cameroon EBM INTERNATIONAL is supporting four training centers of the Baptist partner convention Union des Églises Baptistes du Cameroun (UEBC). 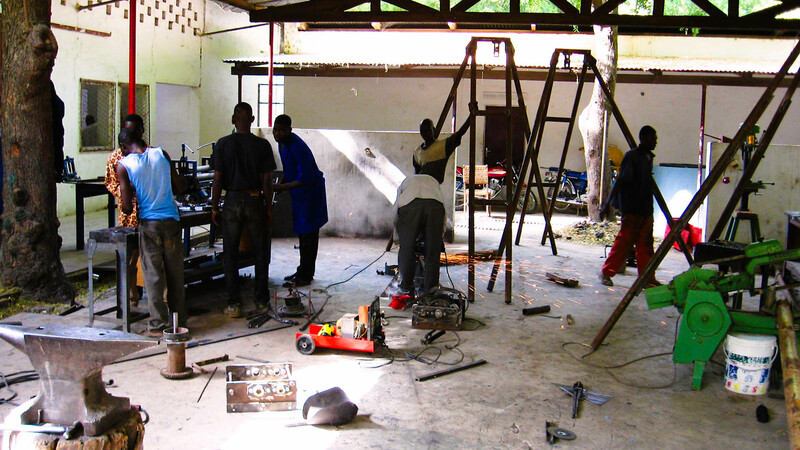 One of the facilities is the Technical Center Garoua (CTG). 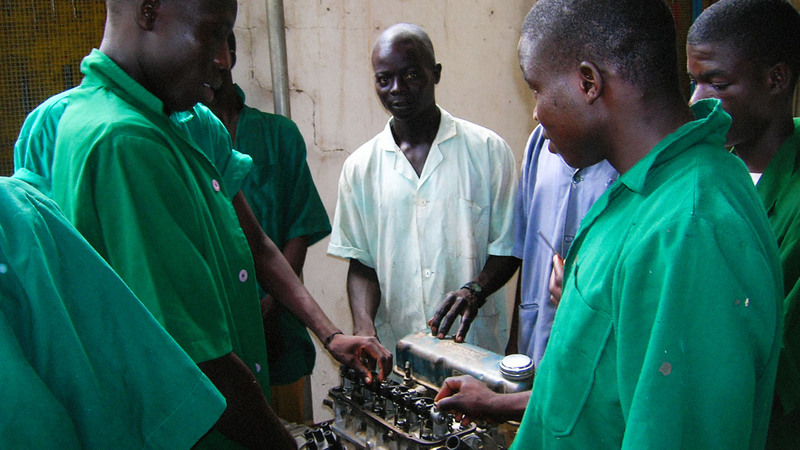 A good vocational training is important in Africa. People are able to support themselves and fight poverty in a long lasting way. Through their own classes women are being especially promoted in these facilities. In Cameroon EBM INTERNATIONAL is supporting four training centers of the Baptist partner convention Union des Églises Baptistes du Cameroun (UEBC). One of the facilities is the Technical Center Garoua (CTG). 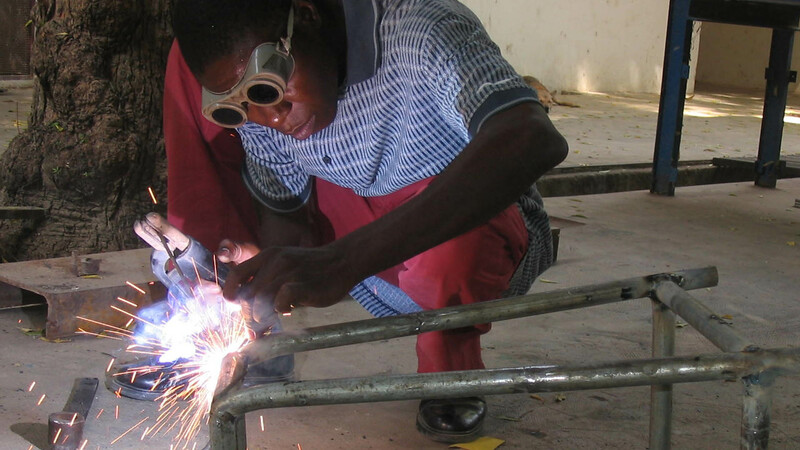 A good vocational training is important in Africa. People are able to support themselves and fight poverty in a long lasting way. Through their own classes women are being especially promoted in these facilities. The CTM exists since 1975. Back then the congregational youth work (GJW) of the free evangelical churches in Germany (BEFG) and the UEBC started their cooperation. Up to the year 2007 organizations like “Dienste in Übersee”(Ministries In Overseas) or the “Evangelischer Entwicklungsdienst” (Evangelical Development Service) (now: “Brot für die Welt”) sent their German experts for support. Since 2005 the CTM has a local director called Betché Lambert. 1. The “old” two part training of the CTM which is now called the shorter course. ● After the short two year, practical course of studies that enables the young people that did not have access to normal schooling to be independent and start up small workshops. ● The long study program ending in a diploma (Brevet). This is a conventional training course acknowledged by the state. This variety gives a chance to every young person for a better integration into society and the prospect of a secure job. The CTM has been under the umbrella of EBM INTERNATIONAL since 2016 and just like all other projects it has a local director and an administrative board. This facility is also financially independent from subsidies to more than 80%. An affiliated car workshop contributes to this. At the same time, this project faces great economic challenges due to the insecure situation in the area because of the terrors of the Boko-Haram sect.